BEIJING A man wielding a knife attacked students Friday at a school in central China, leaving 22 children and one adult injured, according to state-run media reports. The attack occurred at the gate of an elementary school in the village of Chengping, in Henan Province. Police arrested the attacker, who they identified as local resident Min Yingjun, 36. Children as young as six were among those hospitalized after the attack, suffering injuries including slashes to the ears and head. 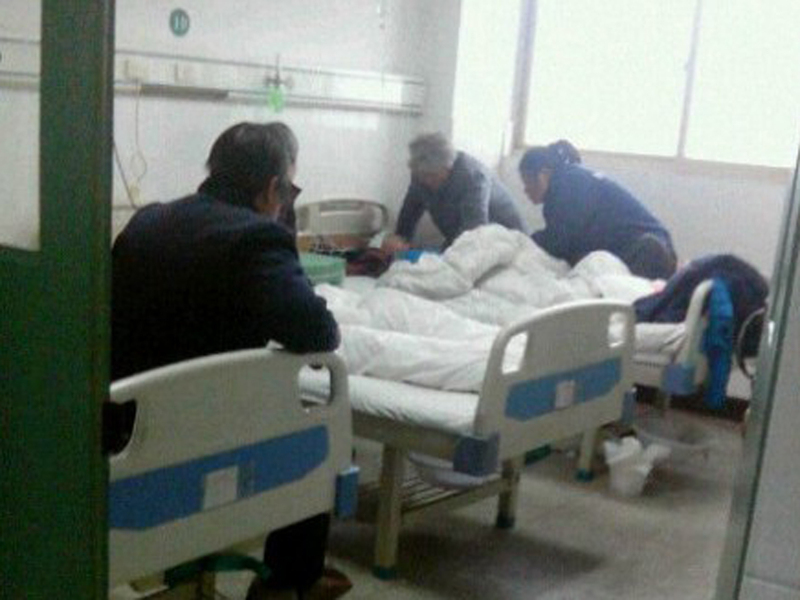 An official at Guangshan Traditional Chinese Medicine Hospital, the local facility, told CBS News at least two students had been transferred to the larger city of Wuhan, not far from Chengping, for treatment. The editor of the local newspaper which first reported the story said none of the children had injuries severe enough to threaten their lives. The attack marks the latest in a series of violent assaults at elementary schools in China. In 2010, a total of 18 children were killed in four separate attacks. On March 23 of that year, Zheng Minsheng attacked children at an elementary school in Fujian Province, killing eight. One month later, just a few hours after Zheng Minsheng was executed for his crime, another man, Chen Kanbing wounded 16 students and a teacher in a knife attack at another primary school in Fujian. The following month, on May 12, a man named Wu Huangming killed seven children and two adults with a meat cleaver at a kindergarten in Shaanxi Province. That attack was followed by an August 4 assault by Fang Jiantang, who killed three children and one teacher with a knife at a kindergarten in Shandong Province. In 2011, a young girl and three adults were killed with an axe at an elementary school in Henan Province by a 30-year-old man named Wang Hongbin, and eight children were hurt in Shanghai after an employee at a child care center attacked them with a box cutter. Some Chinese bloggers have blamed the lack of freedom of expression for the attacks, suggesting people frustrated by their own circumstances but lacking the means to seek justice or voice their concerns with the all-powerful communist government, lash out instead at the least powerful members of society. China's lack of mental health care facilities may also be partly to blame for the attacks. There are almost no mental health care facilities in rural communities, which have experienced dramatic changes over the last several years as China's economy has grown.